Welcome to the 43rd District Democrats! 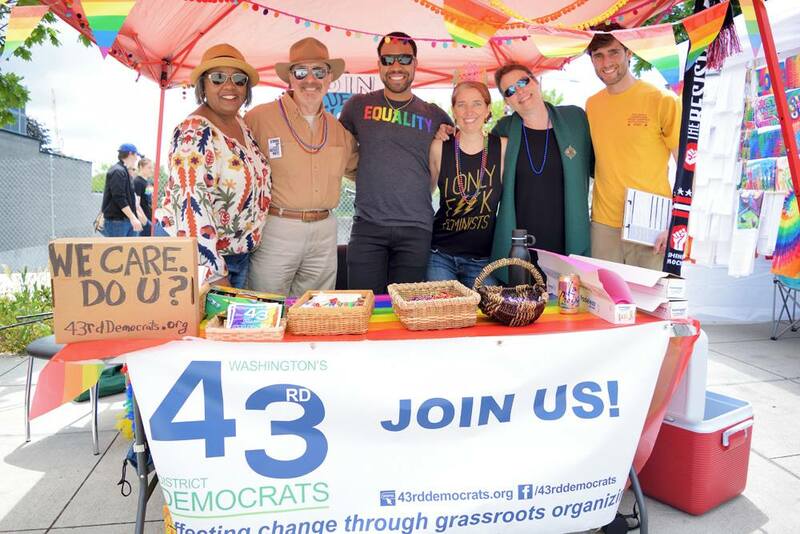 The 43rd District Democrats is a volunteer organization, working to connect Democrats in Washington's 43rd Legislative District with elected officials, grassroots organizations, and ways to be effective advocates for our party. The purpose of the 43rd Dems is to promote the Democratic Party and to increase participation by educating individuals about the principles, goals and candidates of the Democratic Party. Please join us at our next general meeting on April 16th, 2019! Please join us at our next general meeting on March 19th, 2019! Find out about our Executive Board, Elected Officials, Bylaws & Rules, Platform & Resolutions, and our District. Ready to become a PCO? A member? Sign up for more actions you can take?